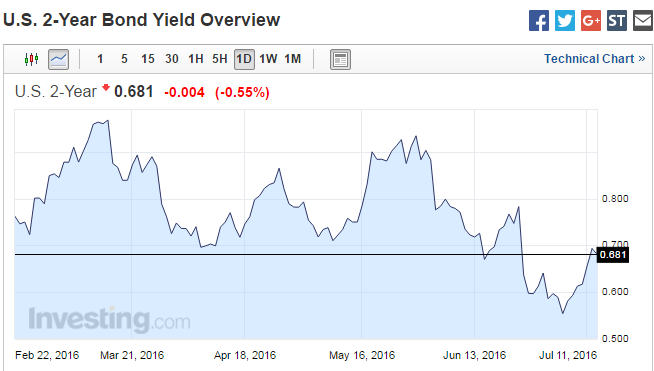 Tradeview: (Tradeview 2016) - FED To Hike Rates In December? 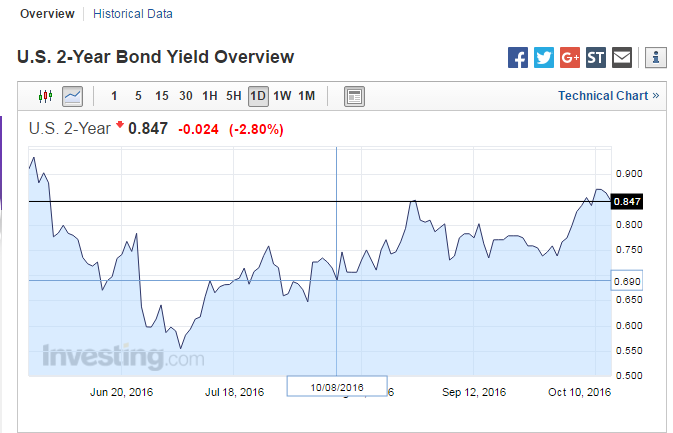 (Tradeview 2016) - FED To Hike Rates In December? Once again, these writings are just my humble highlights (not recommendation), feel free to have some intellectual discourse on this. 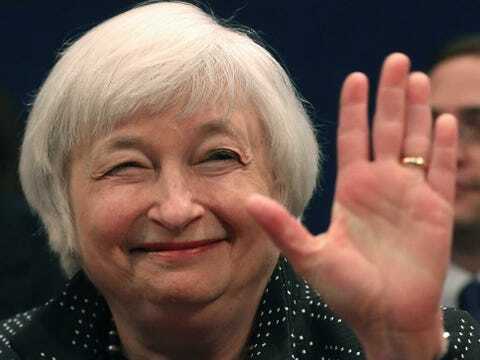 FED To Hike Rates In December? Showing these numbers to you is because of the importance of the data in determining policy decision by the US Fed. US Fed has always maintained that they will be data driven in deciding what to do with their rates. The latest figures appear to not meet forecast and are below expectation. Despite that, the USD has strengthen continuously since then. 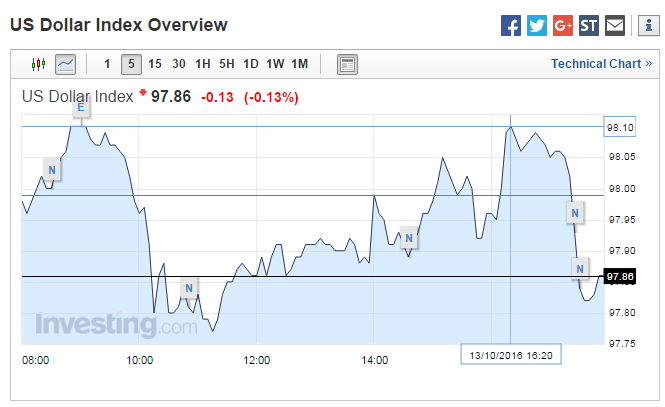 As I type, the DXY index went to as high as 98. 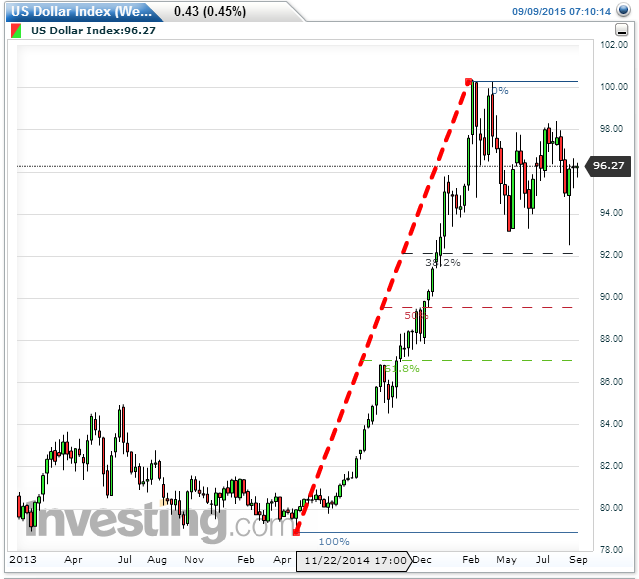 Last year September, when speculation on the Fed move towards their initial rate hike in 7 years, DXY approached 100. Subsequently, equities market started selling off around the world. Today, global markets and Asian markets are down close to 1%. It would appear the same symptoms are repeating itself again. Many might ask how would this impact us? 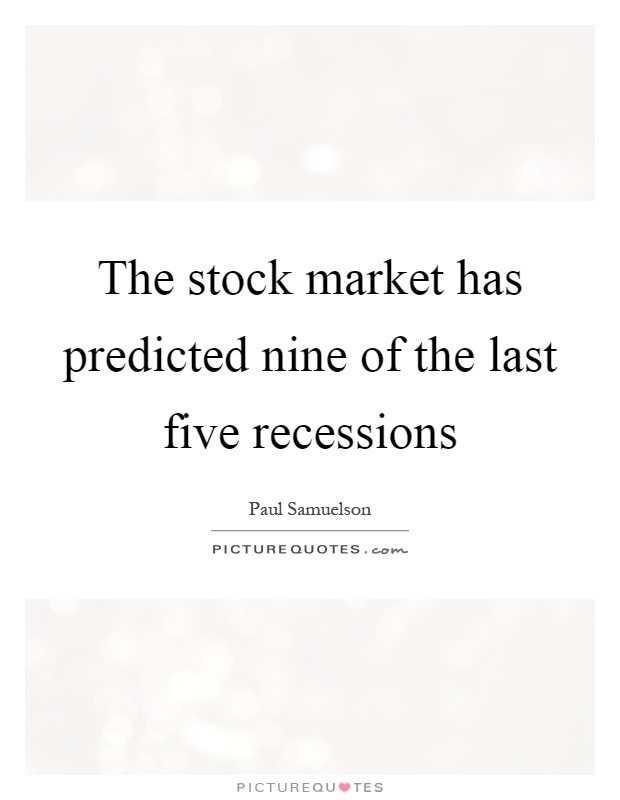 Is the market turmoil going to persist? And will the Fed eventually hike although the rest of the world is cutting rates including our own BNM? For one, I cannot be 100% certain but these are some observations that may help us deduce the possible course of action. It is obvious outside of US, the rest of the world's economy is in a slump (consolidation phase) following severel years of low interest rate environment inflating asset prices significantly and bringing high growth particularly in Asia region. Monetary instruments seems to be losing its effect with Japan growth remaining stagnant despite rounds of stimulus and negative interest rate in place. US seems to be the only market that is doing relatively well despite slowing growth and not yet meeting its inflation target. All in all, it is near full employment with 5% unemployment rate. I am of the view that : US economy should allow it to hike rate albeit slower growth / not meeting inflation target. Politics and economy always goes hand in hand. One cannot look at the market without looking at the political climate. A stable political environment allows prosperity and vice versa. Clinton represents stability and logic. Trump represents change and "loose cannon". Needless to say, if Clinton wins, the market will cheer as seen from the reaction of equities market post presidential debates. If Trump wins, it will cause the world market to be in an even greater turmoil. For all we know, Trump might even fire Yellen just as he "claim" he will put Clinton in jail should he becomes President of the United States. Yellen has a difficult task ahead with the elections in November. The market totally excludes the possibility of a November rate hike which means only December is left post the Presidential elections. I am of the view that : Clinton will be the next President and Yellen will hike rate in December. If Trump wins, rate hike may be the least of our concern. Global events such as Brexit, BOJ bringing about negative interest rates, Syrian crisis, OPEC oil deal are events that have impact to the world economy. The concrn lies in the magnitude of the event. Can the effect be contained or will there be a spillover affecting other countries? Example, for the first time OPEC members came together to discuss potential curbing of oil output. Although nothing concrete came from the meeting and details will only be shared in November, the global oil price shot up signifcantly causing some equities market to react positively. I am of the view that : BREXIT will be an ongoing issue and OPEC oil curb is at preliminary stages. The FED cannot afford to keep on waiting for the resolution of each global events before looking towards their own domestic economic strength. There will eventually be a cut off point or else it will be to the detriment fo the local US economy. Hence, FED will proceed to hike rates provided there is no major shocks.